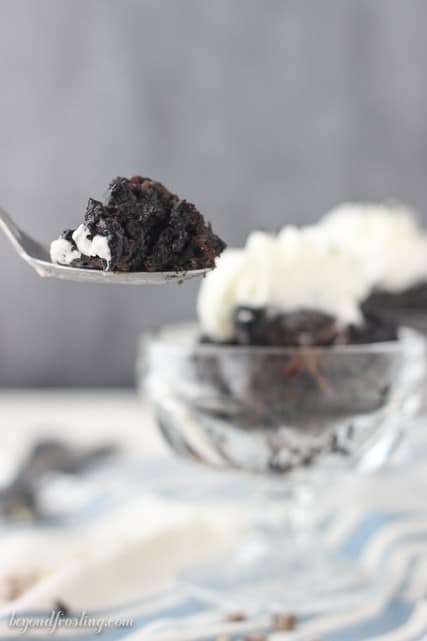 This Slow Cooker Mint Chocolate Pudding Cake is a great no-fuss dessert. This rich chocolate cake is loaded with Andes Mint Chocolate and a dark chocolate pudding layer. It would really make me feel better if you told me that you have never made a slow cooker dessert. Why? Because then I know I am not THE last person on earth to try it. I recently made this Slow Cooker Mint Chocolate Pudding Cake and it was beyond easy! You can see this over at Better Home and Garden’s (BHG) blog, Delish Dish . I wasn’t so sure about this when I poured all the ingredients in the slow cooker. P.S., do you call it a slow cooker or a crock pot? I usually call it a crock pot. Anyway. The pudding layer actually cooks and becomes much thicker, it’s like magic! The original recipe from BHG is for a Triple Chocolate Peanut Butter Pudding Cake, but I decided to change it up a bit and add some Andes mint chocolate bits to the batter instead. I love me some peanut butter, but I am a mint chocolate girl at hear. Check out my post over at Delish Dish or skip right to the original recipe. Did you put the peanuts in? Hi Lauren, no, I did not put peanut in it. thank you! I have never made a slow cooker dessert. I hope this helps. This looks delish and I have a slow cooker so…… let’s get this going~! Oh my goodness it’s so dark and decadent looking! How convenient that you can make it in the slow cooker too! 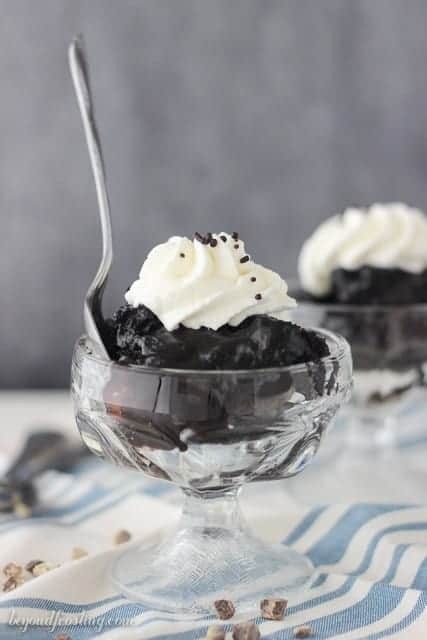 Slow cooker desserts are magic! 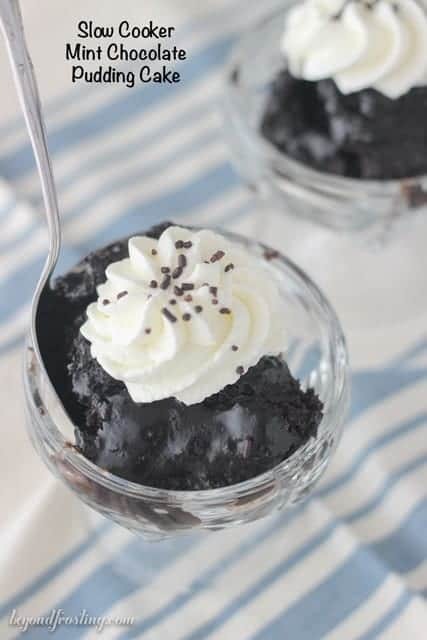 This chocolate pudding is calling my name!